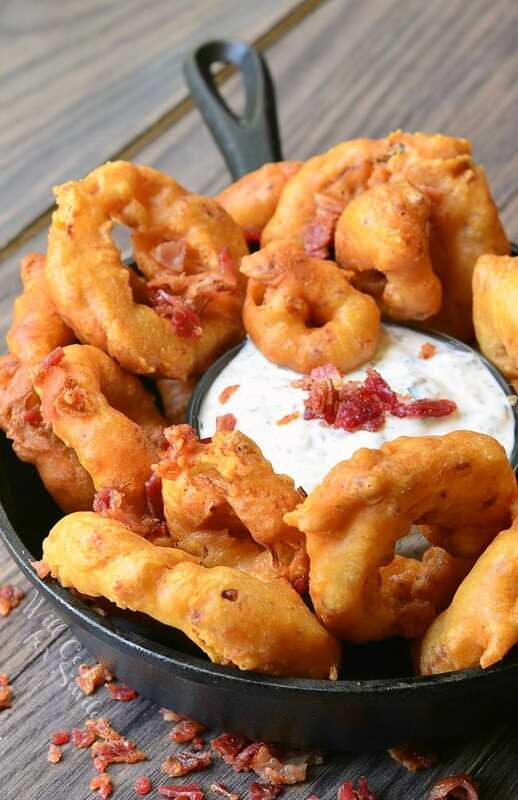 People will be climbing over each other to get to this awesome snack. 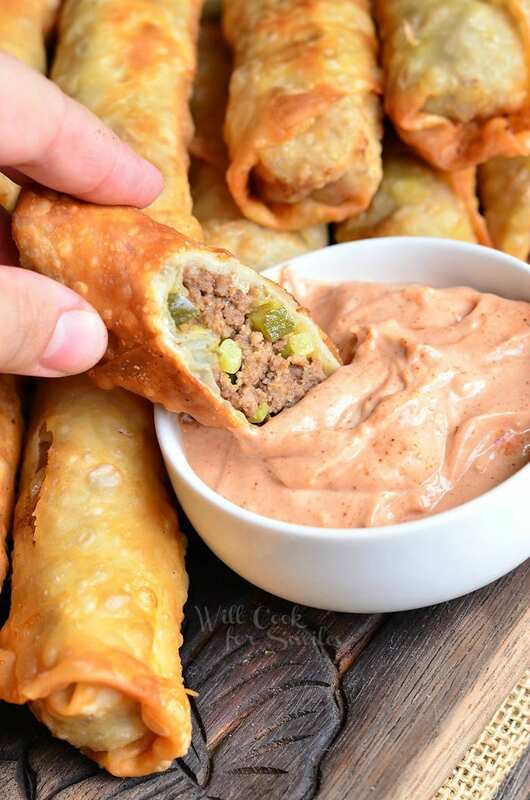 Easy Cheeseburger Egg Rolls served with a simple sauce on a side. 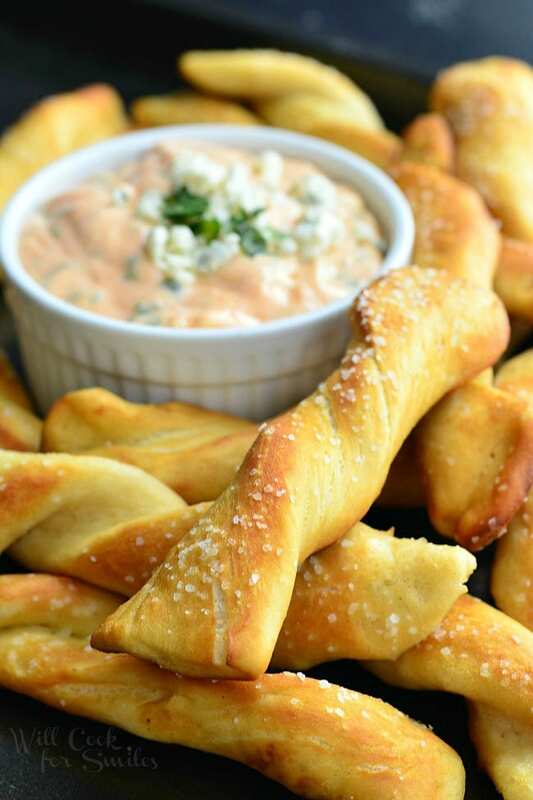 This is one appetizer that your whole family will run to get to first. 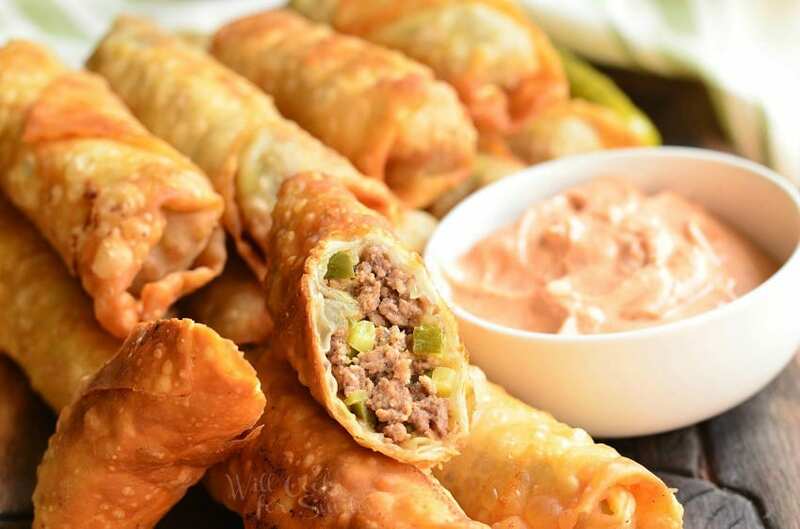 And if you dare to serve it at a party, people will start climbing over each other and tripping others to make sure they get some of these tasty egg rolls. 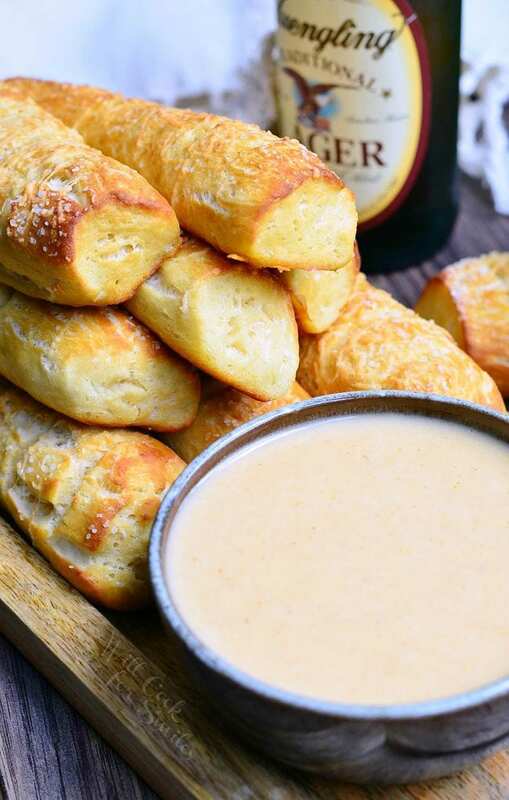 They are pretty easy to make but make sure you make enough, because they will disappear. 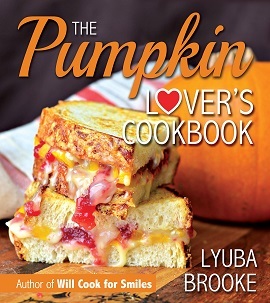 Also check out Lyuba’s new book… It’s delicious! This is in reply to Anne. If there is a special market you may look into Wonton wraps. They also would be healthy for you. It is an Asian product. I bet this would be tasty too. Good luck with your search. Have you tried baking these before? If so, what temperature did you bake them at and how long did you do so? egg roll wrappers are made the same way homemade pasta is made. Egg is mixed with flour and a tiny bit of water. Then it is rolled thin. thin. thin. After rolling, you cut it into squares and wrap the cheeseburger mix with it. 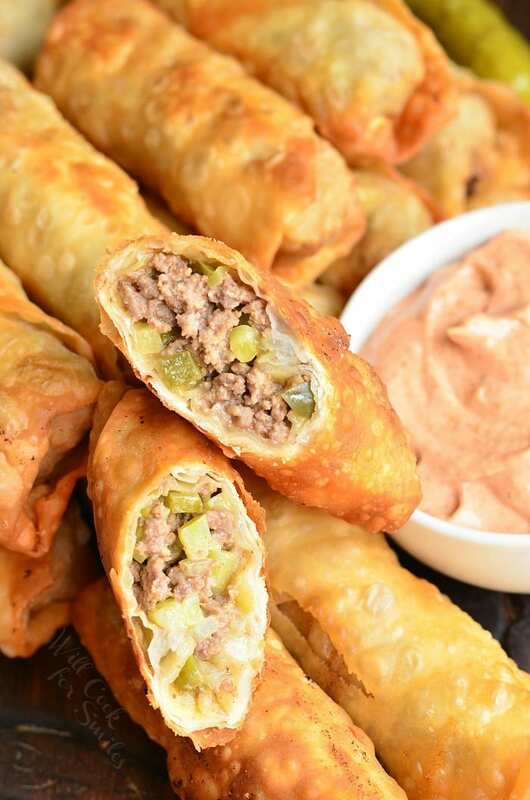 Instead of the egg roll wraps, I bet it would taste just as good with lettuce wraps… and healthier! Thanks for the idea! I live in New Zealand and have never heard nor seen “Egg Roll Wrappers”…..what could be used in countries that don’t have them?? Anne, I’m not sure. I wish I could be more a help.